March Art Hop: Molly Jackson! 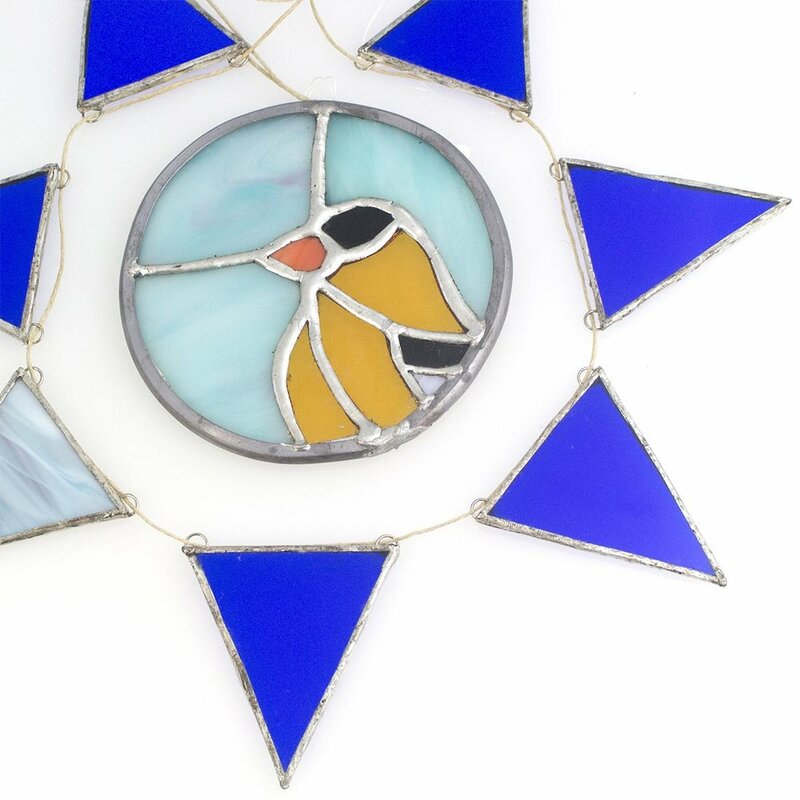 Spring sunshine, meet Molly Jackson's beautiful stained glass. Her work is the perfect complement to any sunny window, and she'll be in the store with brand new work for the March Art Hop! Join us for free wine, snacks, and the first chance to shop Molly's newest pieces. February Art Hop: Bee Joyful! Join us this Friday for the February Art Hop featuring Bee Joyful Shop: Reusable Alternatives to Plastics! Jessica and her crew will be in store to chat about their mission to end plastic pollution with her fun and functional beeswax food wraps. Stop in February 2 from 5-9p for free snacks, a chat with Jessica, and a store full of funky local art. Last day to place online orders! Place your orders by December 17 for Christmas delivery! 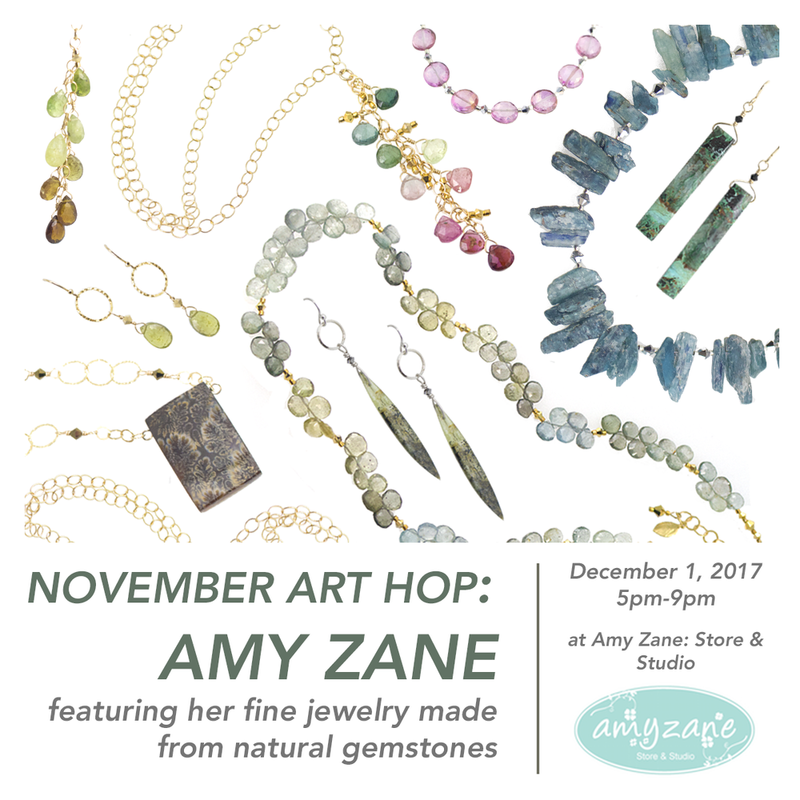 Join us for the December Art Hop, where we will be unveiling the Amy Zane holiday collection! Small Business Saturday at Amy Zane! So mark your calendar for Nov 25 — the Saturday after Thanksgiving — and get ready to Shop Small® with us. 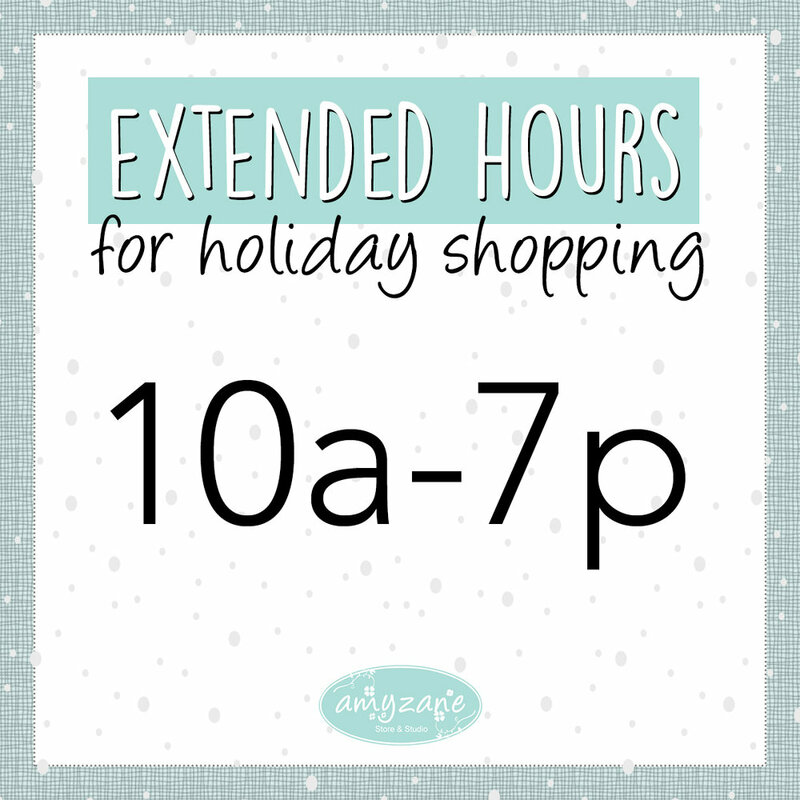 Grab a friend or family member and come by AMY ZANE: STORE & STUDIO between 10a-6p on the big day. Happy Thanksgiving! We will be closed Thursday, November 23. Veterans recieve 20% off one itwm with valid ID! Kelly's striking jewelry focuses on clean geometry and modern mixed metals. Come join us for a chat with Kelly, free wine, and snacks as usual. Ashley Benke showcases her modern canvasses, which mix traditional painting with embroidery. Join us from 5-9pm, Friday October 6 for a chat with Ashley, free wine, and snacks as usual. Help us make room for exciting new arrivals with a sale! 15% off one item, no exclusions.